So, I am back with several challenges to post! I have been very busy in my craft studio. For this throwback challenge we needed to use the create a critter, orange and it had to be a shape card. I used my gypsy girl to make a fish bowl. 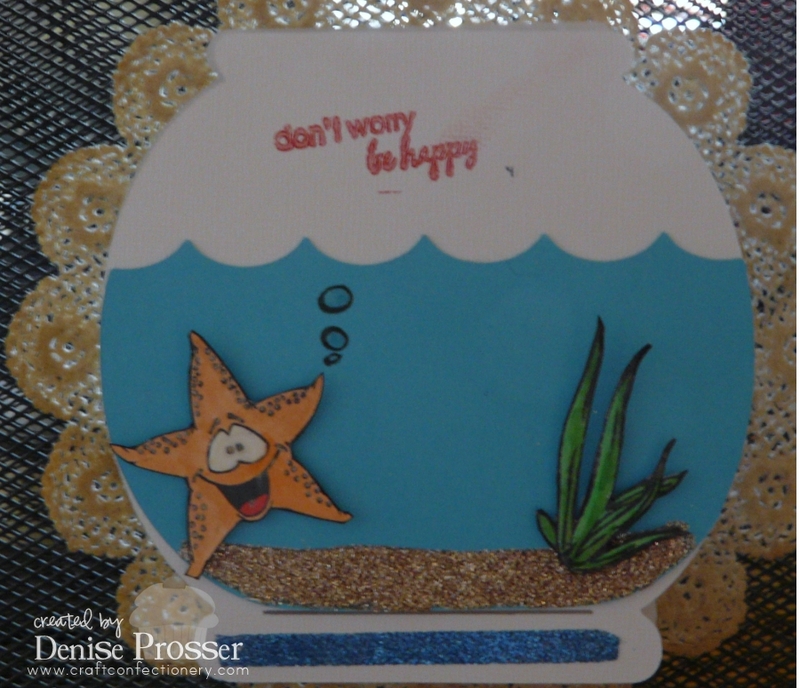 Then I used my Gina K stamps to stamp on her card stock and cut out the star fish and alga. I colored these with my copics and added so glossy accents too! I used glitter at the bottom to look like sand. I used Gina K stamps for my sentiment too! I really love this set and have not gotten to play much with it. I used paper trey ink. It is suppose to look orange, but it didn't take in the picture very well. 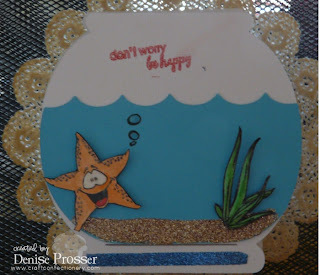 WOW Denise, your card is AMAZING!!! I JUST LOVE EVERYTHING ABOUT IT!!! GREAT JOB W/THE CHALLENGE MY FRIEND!!! !